Langtang to Gosainkunda Lake Trek is one of the most well-known classic treks in Nepal. The trail includes two of the most remarkable regions of Nepal – the Langtang national park and the holy lake of Gosaikunda. This trek is filled with adventure at every corner. 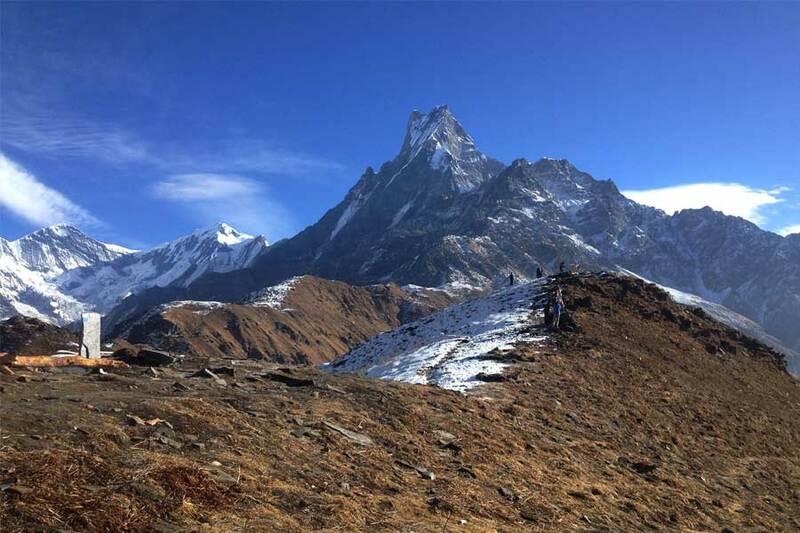 The trek gives you chance to explore old, calm and quiet villages of Nepal ascend reachable peaks and visit beautiful glaciers at low elevations. The holy lakes of Gosainkunda lie at an elevation of 4300 meters. The lakes primarily consists of three lakes of which the Gosaikunda being the largest in the area, the other two are Saraswatikunda and Bhairabkunda. According to the Hindus, the lakes were formed by Lord Shiva when he struck his trident (Trisul) into the ground. Thus the river Trisuli, which derives its water from these lakes, is named according to the legend. Gosainkunda Lake Trek finely blends the natural and cultural aspects of the region. Travelers get the chance to see some of the most beautiful landscapes on Earth and at the same time learn and get closer to the culture and traditions of that place more information about this trek call us now +977-9851032316 (24×7). We continue ascending and enjoy the mountain landscape with abundant waterfalls. As we reach the green meadows of GhodaTabela, we begin to see the white peaks of the Langtang range. Our trail continues to climb up the widening valley, passing a few temporary settlements used by herders. We pass a Buddhist monastery before reaching the Langtang village. Today it will be a walk through Buddhism cultural to KyangjinGompa. We pass by water mills, prayer wheels, chortens, with sacred mounds of rocks with inscriptions carved on them. We also pass by the largest mani wall in Nepal, made from stone with prayers written on them. It will be a short trekking day, we will have time to explore the village and its monastery, which is the main one of the region. Take your time to observe monks and the amazing views of the mountains. We will have choice to have a rest, to walk around the village and share time with local people or to have an exploration day to TserkoRi. It is an excellent spot for sunrise. The trail is also interesting, it passes through yak pastures. We will retrace our steps to Lama Hotel. It will be an easy downhill trail as we pass through forests and beautiful Tamang villages. We also get to enjoy different view of the Himalayas that we had missed climbing up. It will be an up and down trail, which brings us to different villages and edge to rivers. We will cross bridges and walk next to a waterfall at 2210 m before to reach ThuloSyabru. This short trekking day is useful to acclimate our body to the altitude. We could walk slowly to enjoy the nature around us and to spend time in Garta Village and Phulung Monastery, which are on the way to Singompa. Today the natural beauty of the Himalaya will amazed us. A fantastic panoramic view of the Himalayas including the Annapurnas, Hiunchuli, Manaslu, Ganesh and Langtang is waiting us. We follow a ridge for the most part of the day and catch a glimpse of the first of the holy lakes. The third lake, Gosaikunda (4380 m), is of particular religious and cultural significance for the Nepalese and is one of Nepal’s most sought after pilgrimage sites. The lake is surrounded by mountains on almost all sides and has a great ensemble of nine other lakes to accompany it. The large rock at the centre of the lake is said to be the remains of a Shiva shrine. The Helambu region begins at the Lauribina La Pass. Before reaching it we will pass through three more small lakes. Afterward we will climb a small hill to enjoy excellent views of the area. Today, the trail goes through dense forests with some up and down. After passing a village, we will climb a ridge above it and continue our trek. The view from the ridge of the Nepalese hills and Soli Danda in particular is beautiful. Melamchigaon is a beautiful village with typical houses and one monastery. We will have to cross a small stream below Tarkeghyang and walk through a forest before to lead AmaYangri, located at 3,800m. There is a stupa and Buddhist prayer flags at the top of the hill. Furthermore, we get stunning views of Mt. 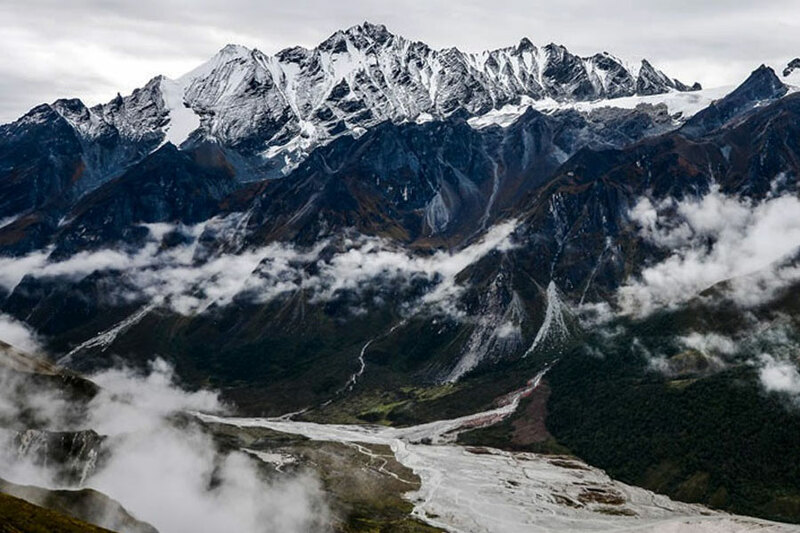 Shishapangma and the Langtang ranges. The mountains are so close that we feel that we can almost touch them. As we descend we can often see yaks grazing in the bushes before entering a forest. Tarkeghyang is a beautiful Sherpa village. It is almost the end of the trek but there are still some interesting things on the way. It will be a mixt between a natural walk through lush forests and through the Himalayan culture with beautiful villages, chortens, monastery and a mani wall. Shermathang provides incredible views of Ganesh Himal, JugalHimal and the Langtang ranges. On a clear day, we can even see Mt. Everest in the distance. For its last trekking day, we will walk through meadows, fields and beautiful villages. 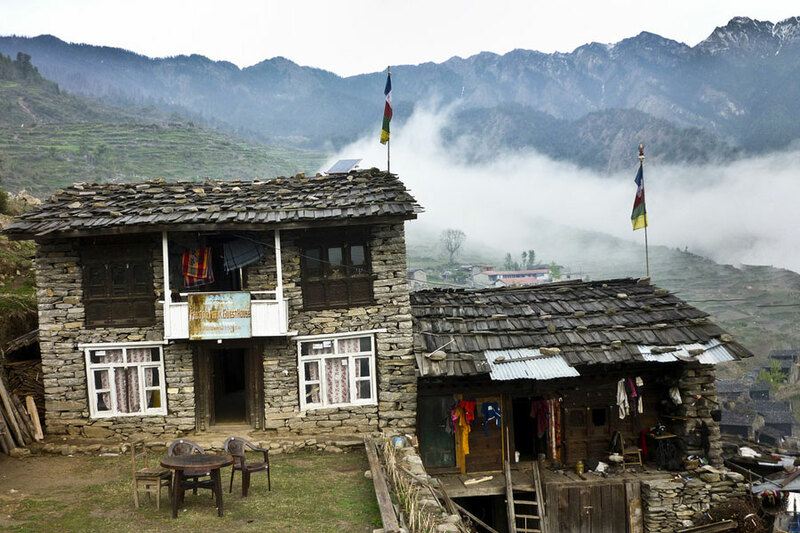 Enjoy this last time in the Himalayan village to share time with local people. As on the first way you could enjoy the beauty of the countryside, green hills and thundering rivers. The bus will drop you to your hotel. It will be a free time if you want to visit the surrounding area. Asian Journey will provide you all the necessary advise to enjoy your time in Kathmandu. During the evening, we organize a Farwell Party over a diner.